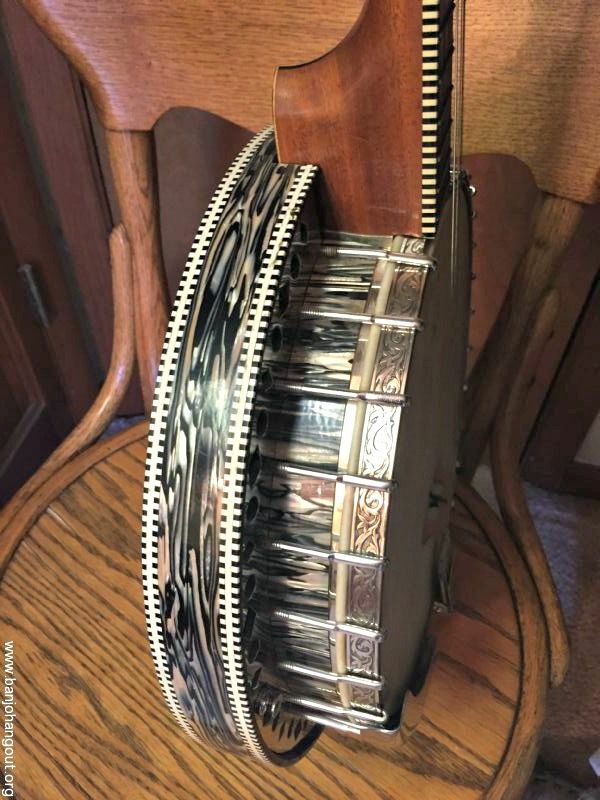 This banjo has no name on it but but have been told by a person with more knowledge than me that it was probably made by the STROMBERG Company. 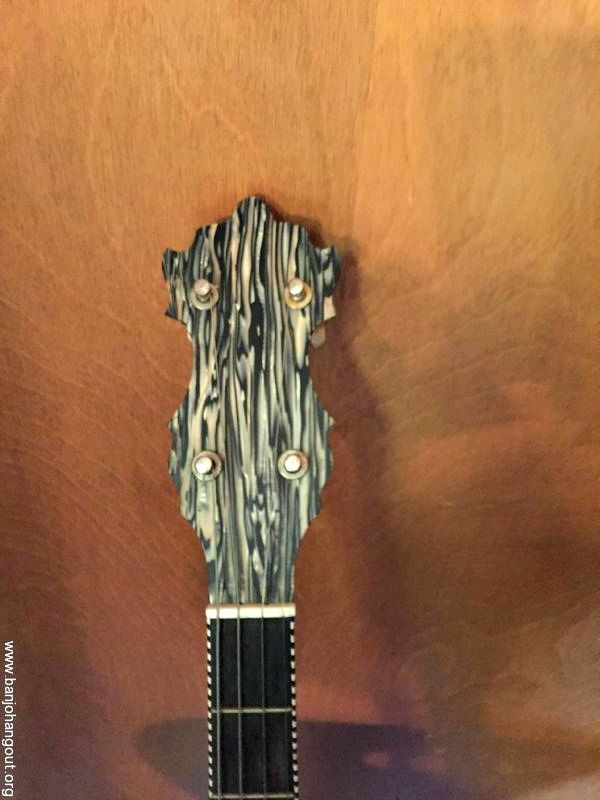 Has celluloid on resonator rim and peg head. 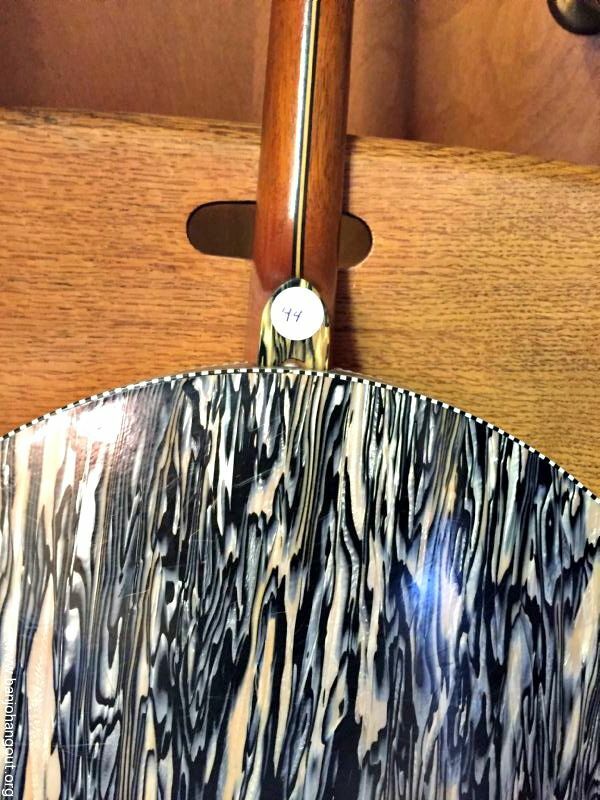 The celluloid is black and white, also has a striped binding on neck Does have a nice laminated Neck with a fancy tension hoop. 19 frets with some small inlay in fret board. This ad will automatically expire 6/9/2019 12:34:12 PM unless updated before that date. To keep the system current, ads expire if not updated for more than 60 days.